The Men's Caliber II Jacket from Dare2B is a great option for cyclists who like to get out in all weather conditions. Fully waterproof and breathable with taped seams, a DWR finish and water repellent zips this jacket will help to keep the weather on the outside while you stay comfortable on the inside. Mesh ventiliated back panels help to promote excellent breathability and the fit is perfected with a lower rear hem, articulated sleeve design and an easy to adjust neck cinch. 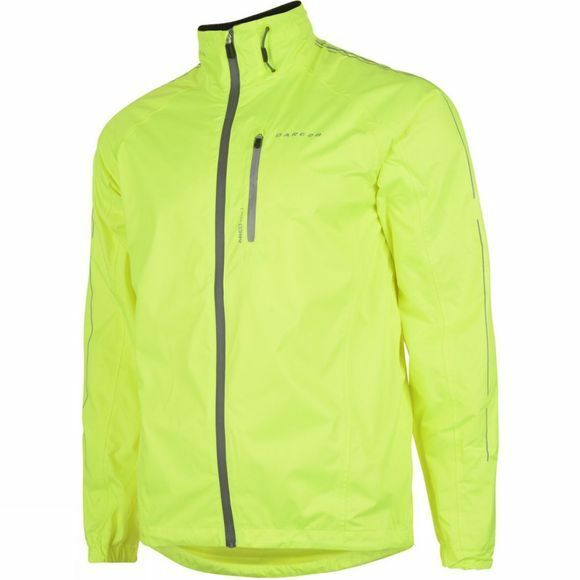 Reflective detailing add a little security in low lighting and the jacket is LED compatible making it equally ideal for night time excursions.